The last two weeks have been exhausting. Hearing allegations of sexual assault against a nominee to the US Supreme Court is exhausting — no matter whether you believe them or not. It is completely exhausting — exhausting to hear the allegations and exhausting to process arguments that no investigation of those allegations is necessary. Exhausting to watch a TV interview/promotion of a Supreme Court nominee regarding issues of sexual assault. It all seems surreal. Allegations of sexual harassment are shocking enough. Allegations of sexual assault are something else entirely. Since when do we just let it be “he said, she said” about things that may be crimes without looking into it further — as in a formal investigation by the FBI. That is mind boggling to me. Theoretically, nominations to the Supreme Court of our land should be about excellent jurisprudence, awesome qualifications to make decisions that control our daily lives, and impeccable character. But that is not happening today. Instead, the confirmation hearings are infused with politics and polling. Politics is seeping into everything these days and pushing “the right thing” far to the side and even farther out of view. I typically do not get into politics at Best Friends at the Bar, and I am not taking political sides here. What I am doing is reminding you that sexual harassment and gender discrimination are things that you will be lucky if you can avoid in the workplace today. As women lawyers, you are still in the minority, and there still are gender stereotypes that will plague you throughout your careers. The standards of acceptability in terms of behavior are different for you than for your male colleagues. If you want to test it, try being strident and outspoken during your next law firm meeting or before a male judge in the courtroom. That will be a life lesson. And you will not forget it. I know I didn’t. These are important issues, and you need to pay attention to them. Gender discrimination can be obvious and easy to spot or it can be nuanced and sneak up on you. The most harmful is the implicit bias that affects your upward mobility and your earning power — and which you discover too late. I include the subjects of sexual harassment, gender discrimination and implicit bias in almost every speech I give. I do not obsess about it, but I make sure my audiences know enough about it to beware of its harmful effects. I have discussed it in my books and on this blog before, and I will continue to do that. Most of my audiences are receptive to this information. I am grateful for that because it means that you young women are learning and arming yourself to protect your futures. Every once in awhile, however, I am amazed at denials of the importance of these issues. Consider a VERY VERY prestigious Big Law firm pushing back on my remarks about reporting issues of gender discrimination and implicit bias to HR and, if there is no satisfactory resolution at that level, to keep notes and consider a resolution outside the law firm. Also consider that the push back was not from male lawyers. The push back was from senior women partners. I guess their loyalty was to the organization and not to women. Sad. I pushed back, too. 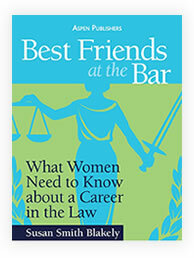 I reminded those women that I am an advocate for women lawyers not for individual law firms. I applaud HR processes that are fair, thorough and invested in exploring the facts, discovering the truth, and redressing wrong. However, not all law firm processes meet those standards. In those instances, I want women to know their options. Even if XYZ law firm has a process that does meet those high standards, many of the women I speak to today at such law firms may not be there in the future. They may find themselves at law firms with processes of much lesser quality and dedication to fairness. They will need the information I have for them. It is as simple as this. 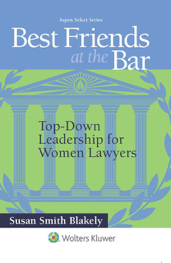 Take these issues seriously, whether you are a young woman lawyer or a law firm leader. You do less at your peril. What do RBG and Millennial Lawyers Have in Common? RBG. You have to love her! And I do. I loved the documentary about her life, and I love how relevant she continues to be. I first saw Justice Ginsburg speak more than a decade ago when she was addressing an audience of law students and young lawyers. Yes, her scholarship and her role as a breaker of glass ceilings amazed me, but it did not stop there. Her sense of humor and her humble way of speaking was surprising for someone at her high perch, and it was heartwarming. She knows how to get attention without hitting the listener over the head with her opinion and perspective. So, last week when she was interviewed at George Washington University Law, I paid attention again. Of course, I was not disappointed. What I heard from her then that particularly moved me came in response to a question about the Senate confirmation hearings for Judge Brett Kavanaugh. In her response, she expressed lament that the process is now so partisan, unlike the bipartisan hearings of the past, including her own. Indeed, I think all of us wish we could wave magic wands to bring things back to what they were and the way they should be. However, the partisan behavior in congressional hearings is only part of the problem. Other unfortunate behaviors are infecting our society and culture, and it makes all of us yearn for the good old days. Take the good old days of practicing law as an example. 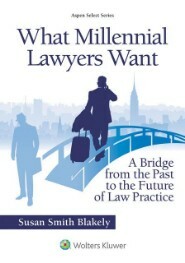 The loss of respect, cooperation, civility, emphasis on honorable and ethical and professional behavior is addressed in my new book, What Millennial Lawyers Want: A Bridge from the Past to the Future of Law Practice (Wolters Kluwer/Aspen Publishers 2018). Millennial lawyers are reacting to toxic law firm cultures and yearn for a set of values that will help develop them as the leaders they want to be. Leaders not only in their profession but also in their communities. I long have contended that the degradations of law firm cultures and the negative behaviors of practitioners, which have led to disillusionment among lawyers young and old, is reflective of the disrespectful behaviors that have become common in our society at large. You need not look further than social media and television coverage of controversial topics for proof. Think Facebook comments. Think Twitter comments. Think the behaviors of high level individuals in media interviews. Think panels of experts freely screaming at each other on cable television. Think road rage. Think finger pointing instead of civilized conversation and compromise. And the list goes on. Wouldn’t it be nice to see the law profession lead the charge for elimination of these repugnant behaviors? Wouldn’t it be nice for the law profession to stand up against bullying, disparaging dialogue, character assassination, and the full range of bad behaviors that have become common in our daily lives? Wouldn’t it be nice to see lawyers take the initiative to address larger societal issues — as lawyers used to do? The law profession has the opportunity to take up the mantle of living up to the values of past generations of lawyers. That opportunity would go a long way toward responding to the disappointment of millennial lawyers to a profession gone awry by placing too much value on money and power. It also would demonstrate that law firm managers can be the leaders they need to be during these transformative times. What could be more important than bringing back civil behavior and respect for others? Like RBG, we only can hope that change is somewhere on the close horizon. And we can hope that the first ones to take the hill are the lawyers. 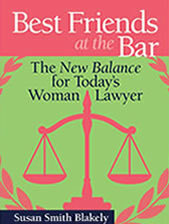 I have to share with you the story of a remarkable young woman lawyer. I do not know her, although I wish I did. It would be a pleasure and an honor. Lina Khan is the kind of dedicated and passionate young lawyer who, undoubtedly, will make her mark on this world. I read her story recently in an article in the New York Times, and it inspired me. Not because I know anything about anti-trust law. Not because I have a secret agenda involving busting monopolies. Just because I admire the intellectual journey and passion of this young woman. She is a Yale Law School graduate, who, as a law student in 2017, published an article titled “Amazon’s Antitrust Paradox” in the Yale Law Journal. The article challenged current anti-trust principles and dredged up some former applications of law that got people’s attention. The paper received 146,255 hits — a lot for legal treatises — and Lina Khan became a celebrity in the hallowed halls of government in Washington, DC. She also has critics, as you might expect. New discoveries and theories work that way. But, she pushed forward on her theories with Amazon as the target. Big target. Hard to bring down. She is now at the FTC doing awesome policy work based on her theories, and Politico just named her to its annual list of the people driving the ideas driving politics. She had setbacks, but she soldiered on. Just months before she was to assume a clerkship on the prestigious 9th Circuit Court of Appeals, the judge who had hired her died suddenly. So, she quickly changed course. I think she grew up knowing it is what you do. Take a few minutes to read the story. It may inspire you as it inspired me. All of us will not take journeys involving this kind of commitment, but we can marvel at the journeys of the ones who do. And the reason this resounds with me so emphatically is that it is the same thought process that runs throughout my new book, What Millennial Lawyers Want: A Bridge from the Past to the Future of Law Practice (Wolters Kluwer/Aspen Publishers, 2018). The past can help rescue the future. The remedy for an arguably failing law profession is a new way of thinking that is informed by traditional principles. Being informed by the past to rescue the future is the bridge that millennial lawyers have been looking for without even knowing it. It is the bridge that one bright and shining Yale Law student, turned millennial lawyer, took. It is a journey of passion. Bravo to Lina Khan wherever her passion leads her. I hope I run into her on the streets of DC to witness her commitment and passion. It would be a pleasure and an honor.